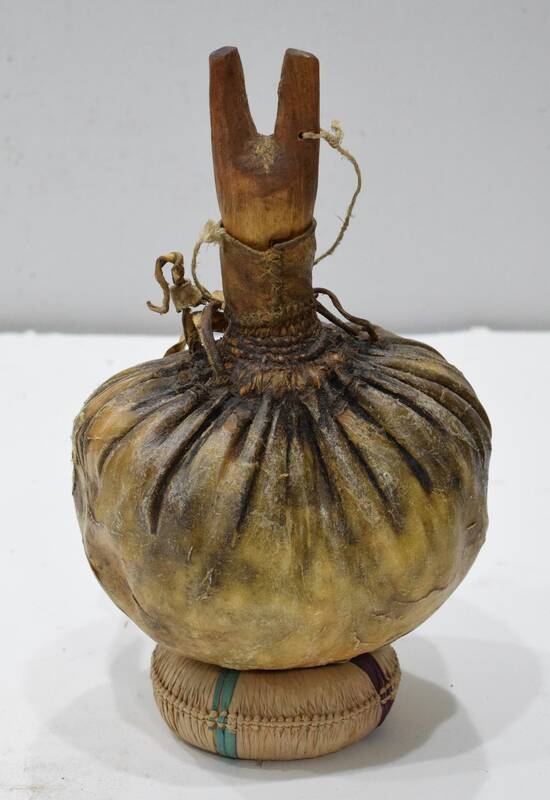 This is a wonderful Vintage Old African Wood, Woven Twine and Leather Camel Skin Fat Jar from the Turkana People of Kenya. 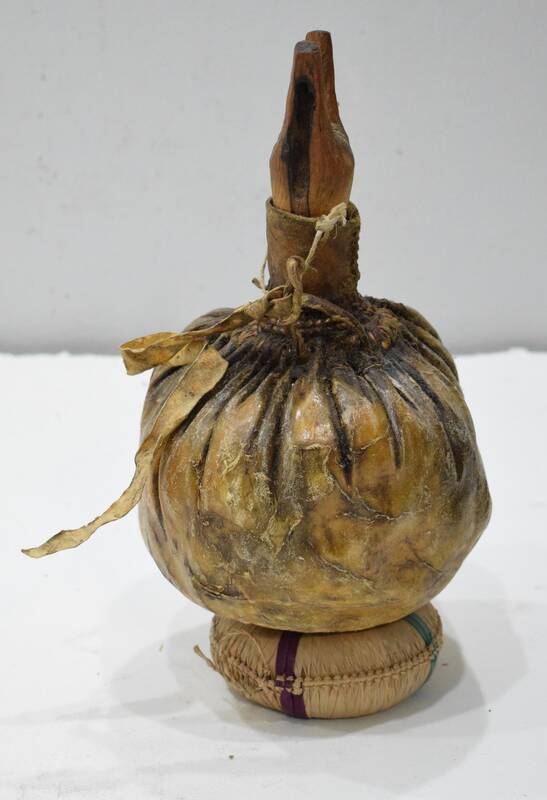 The camel skin fat jar is called an "akatom". 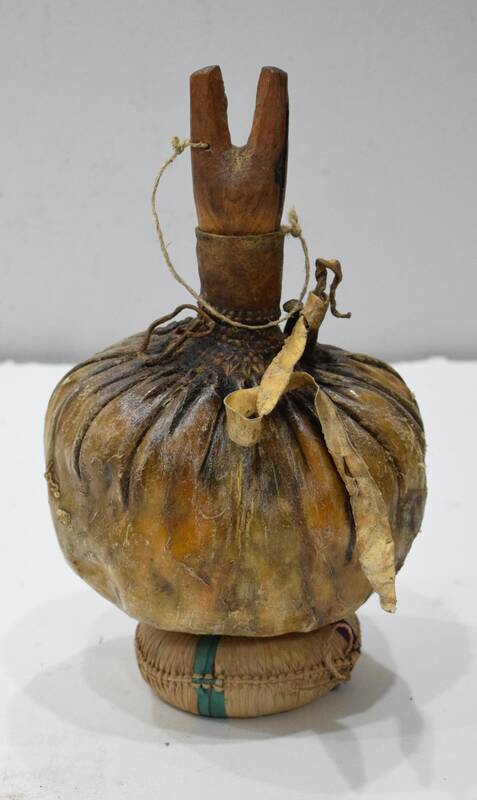 This jug-shaped vessel is fashioned with wet sand out of the stomach or skin of the camel. The neck is attached with intricate coils of hide or palm fiber. This container was carved by women using traditional tools and indigenous trees. This Jug has a leather handle. 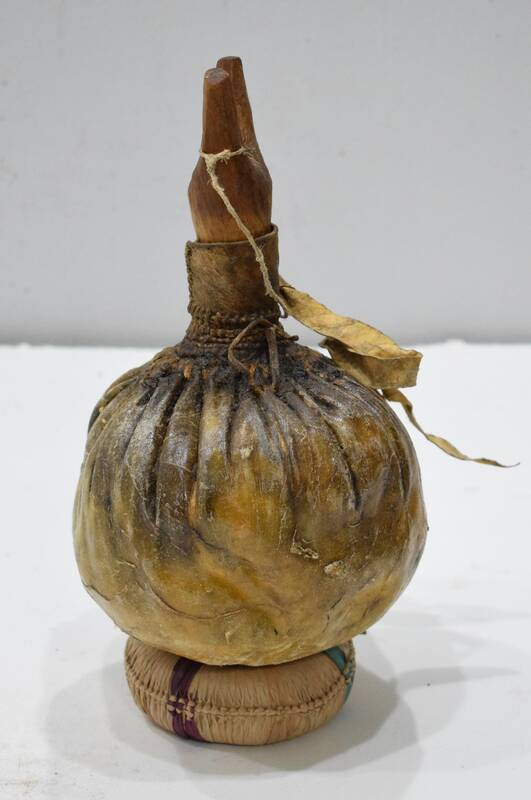 Another fat container a woman uses is called an eburi as a cosmetic jar to hold the animal fat used for greasing her neck to prevent chafing from her tightly wound necklaces. This jug is a necessary container in the Turkana household. This jug is unique and would be a great addition toyour collection and home.